Research has documented the connection between nutrition and overall wellbeing of clients with ASD and other neurodevelopmental issues. At Cabin Mountain Living Center, we work hard to help our clients understand this correlation and how they can better manage their own health and wellness so they can experience peak performance both mentally and physically. Cabin Mountain Living Center is building a “green wall” inside one of the client condos. The wall will host approximately 85 individual plants. We will grow and maintain many different types of herbs and leafy vegetables and fruits, which will be consumed by the clients. All excess plants, fruits and vegetables are sold by the clients to local restaurants and at the local farmer’s market. Everything we grow is organic and non-GMO, as we employ aquaponics to feed the plants. Aquaponics is the combination of hydroponics (soilless farming) and aquaculture (fish, shrimp or snails) in a symbiotic relationship. We use Tilapia to feed our plants. In the future, we plan to breed our own Tilapia, so the system becomes as self-sustaining as possible. As the Tilapia mature, the clients will incorporate them into their meal plans or sell them to local restaurants or at the farmers market. This process not only provides the clients with fresh, wholesome foods, it also helps them gain perspective and experience in the economic impact of their work. Being active and engaging in regular exercise is also important to the overall wellness of the Cabin Mountain Clients. 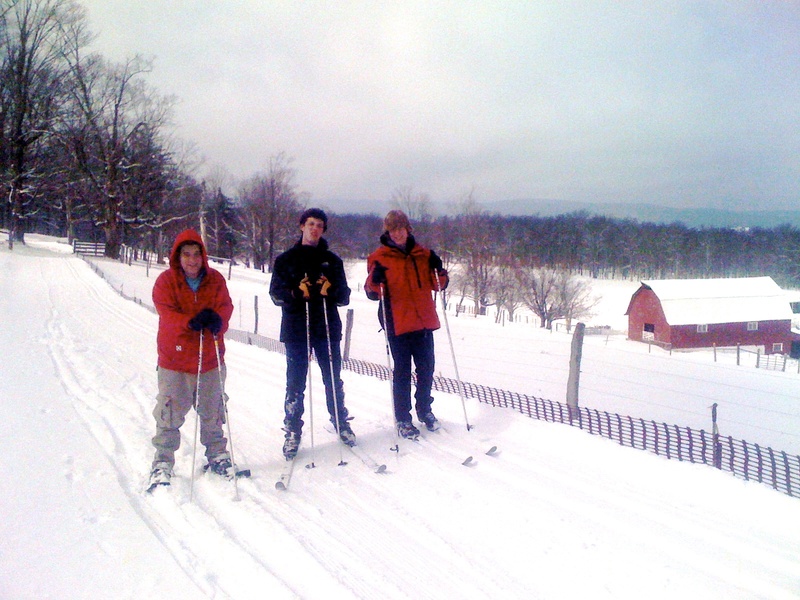 Canaan Valley is a mecca for outdoor based activities such as hiking, biking, horseback riding, skiing, snowboarding, and white water rafting, to name a few. This makes providing opportunities to our clients very easy. However, most of the Cabin Mountain residents lack the internal motivation needed to engage in daily exercise. To overcome this, we make exercise a part of our routine. Rather than focusing on the exercise itself, we focus on the activity as a whole, making it fun and something the clients want to be a part of. Our goal is to help our clients reach a level of activity that is healthy and beneficial without feeling like an additional requirement to their schedules. We have our own small fitness center that is available to the clients each day. We also offer to purchase memberships to the local fitness center at Canaan Valley Resort State Park. For many of the Cabin Mountain clients, forming and respecting boundaries has been an ongoing issue. For example, they may not understand the concept of personal space and tend to stand too close to another person during a conversation. They may also lack the awareness of personal boundaries in friendships. We teach this in their life skills classes. They also get opportunities to practice setting boundaries in role-play situations. Most importantly, they get to implement this skill in a real life way while living in Cabin Mountain. We teach the clients how to recognize the boundaries of peers and then how to respect those boundaries while maintaining a positive relationship. We also teach the clients how to recognize when they need to set their own boundaries and how to follow through without alienating the other person. Successfully learning how to set and respect boundaries is important to the success of each Cabin Mountain client. It is integral to the clientsâ€™ overall and ongoing safety, but it takes time and practice, so it becomes a focus of each day. Many young adults with autism and other neurodevelopmental disorders get stuck ruminating, either about the past or the future. Ruminating about the past can lead to depression because clients get stuck on something that happened in the past, which they can’t change. Ruminating about the future causes anxiety because clients get stuck thinking about what may happen in the future, which they can’t control. Practicing mindfulness forces our clients to be in the moment, focused on the here and now. Our Cabin Mountain clients often find it more difficult to let go of the past or stop worrying about the future. They ruminate even when they are trying to sleep. Teaching them Mindful Based Stress Reduction (MBSR) helps them stop the ruminating, allowing them to be more present and active in their daily lives. In some traditional therapeutic interventions, clients are asked to analyze and talk about their feelings, which can be difficult for our Cabin Mountain clients. By utilizing MBSR techniques, we are teaching our clients to focus on the present moment, which helps them let go of the ruminative thoughts and emotions. Thoughts and emotions are not analyzed. Clients are taught to recognize the onset of ruminative thoughts and emotions. They can then utilize the meditation and mindfulness techniques in everyday life when ruminative thoughts become a problem. Mindful Based Stress Reduction techniques are taught in both group and individual settings. In the group setting, clients are provided with opportunities to learn together and from each other as peers. This also promotes a peer support system, which can be used in the home environment. Individually, clients learn these techniques through sessions with their life coach, their therapist and with one-on-one mentoring. Most of the instruction must occur in real-life settings, the “teachable moments.” Staff help clients recognize the ruminative thoughts, and then also help them employ learned techniques such as deep breathing, body scans, and meditation to interrupt the ruminative thoughts and return to the present moment awareness. Helping clients stay present and aware of their thoughts also helps them learn to be better decision makers. When the brain is in chaos from ruminating, which leads to emotions of anxiety and/or depression, it is almost impossible to make good decisions. When we teach our clients to return to a present awareness, the decision making process is much more clear. They are able to see beyond the chaos and make decisions based on facts and impending consequences rather than an emotional knee-jerk reaction.